There can be few cities as varied and versatile as Edinburgh, with its breathtaking array of architecture dating from the medieval to the contemporary. These pages show you the range of feature films and TV dramas that have made use of the Edinburgh city region landscape. On this page are a few of the best known titles, or browse the detailed list using the alphabetical search. Hugh Hudson's epic feature film about the boy raised by apes who becomes the Earl of Greystoke. David MacKenzie's adaptation of Peter Jinks' novel about a boy with a voyeuristic penchant. Josie Rourke directs the historical epic starring Saoirse Ronan in the titular role. 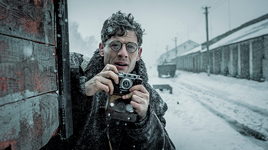 Director Agnieszka Holland's film about Gareth Jones, a journalist who travelled to the Soviet Union in the 1930s and discovered that the Socialist utopia was not all it seemed. Film of David Nicholls' best-selling novel starring Anne Hathaway and Jim Sturgess. 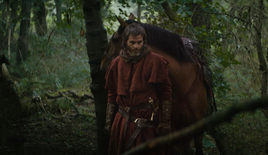 David Mackenzie's tale of Scotland's Outlaw King, Robert the Bruce, starring Chris Pine. Alfred Hitchcock's retelling of John Buchan's novel The 39 Steps. Ron Howard adaptation of Dan Brown's bestseller, following the trail of the Knights Templar. Ronald Neame's adaptation of a Muriel Spark novel about a headstrong teacher in an Edinburgh girls' school. Danny Boyle's 1996 international hit feature film of the Irvine Welsh best selling novel. Jonathan Glazer's feature film of Michel Faber's novel, starring Scarlett Johansson. Drama series based on the historical time travel Outlander series of novels by Diana Gabaldon. Film adaptation of the book by Eric Lomax, a POW in World War 2, who discovers that the man who tortured him is still alive. Epic sci-fi feature film spanning five centuries, by Tom Twyker and the Wachowskis.